I was scrolling through my instagram feed and came across a photo from Chef David Ruggerio he called “Death by Popcorn” made with caramel marshmallow, butter and brown sugar. We agreed that since he made it on the weekend it contained no calories at all. Inspired by his “no recipe” experiment, I decided to make good use of the leftover coffee marshmallows from my hot chocolate custard post and make something similar. 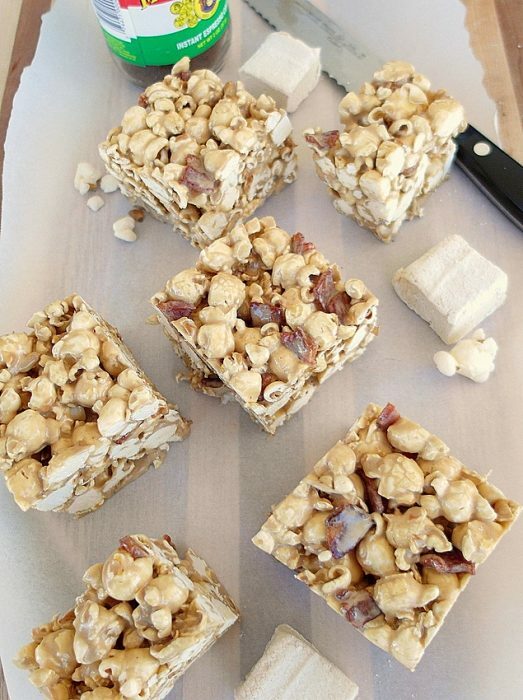 It was a short leap to include maple syrup and crisp bacon to end up with these lovely, sticky, salty-sweet breakfasty-tasting coffee maple bacon popcorn treats. Not a fan of bacon? Leave it out. Don’t like maple? You can leave that out too. And if you’re not starting with coffee marshmallows (although I can’t imagine why you wouldn’t) just add some instant espresso to your mix. Enjoy! 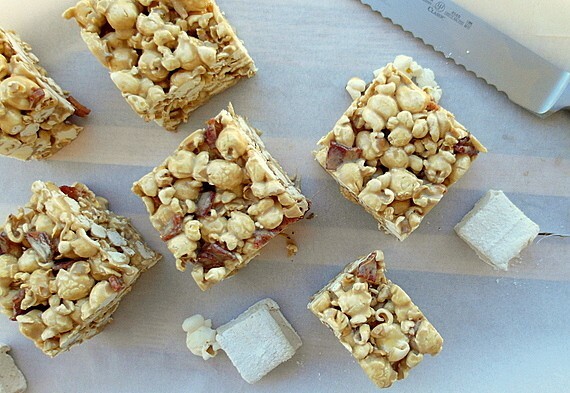 This recipe, like the original Rice Krispie Treats recipe, is endlessly versatile. Modify it based on what you have on hand, although I must say this combination is pretty stellar! If using homemade marshmallow, these treats will be a bit softer than if using store-bought. 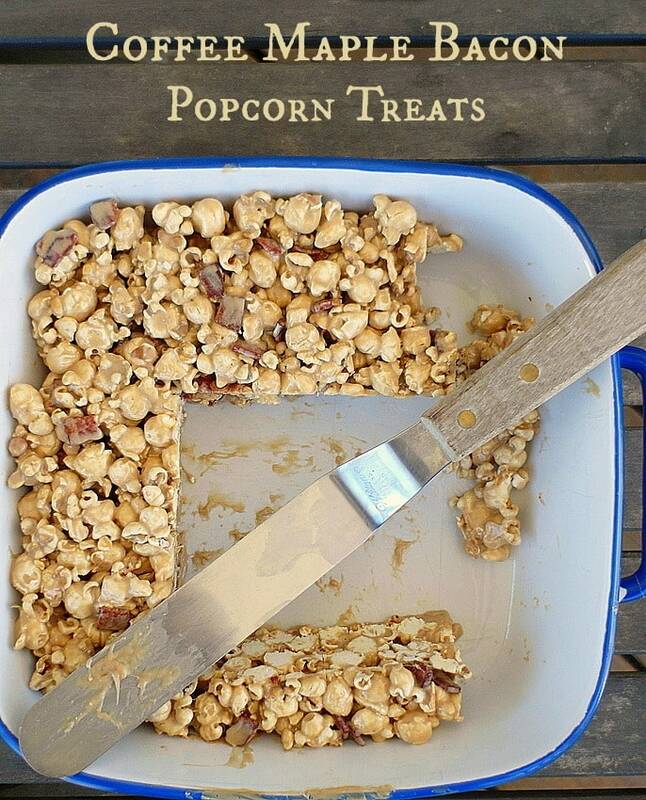 Make sure they are well set-up before eating or they might be a bit gooey. Butter or spray a 9"x13" pan (I used an 11"x11" pan). Set aside. 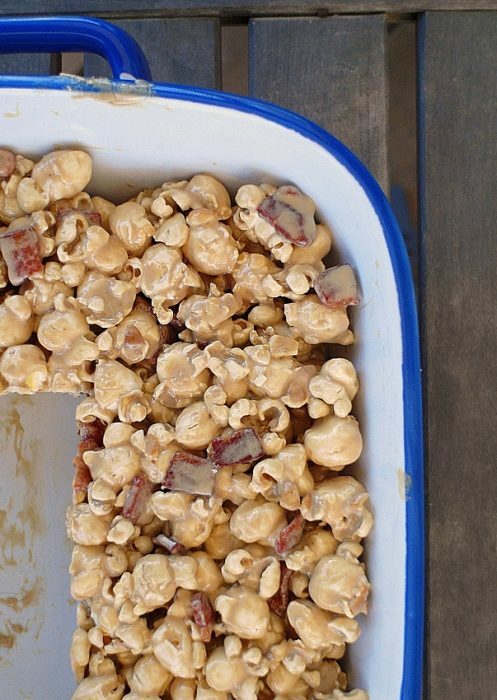 In a large, heavy-bottomed sauce pan, melt the marshmallows and butter together with the maple syrup over low to medium-low heat. Do not let it boil. Stir in the espresso powder and salt, then stir in the crisp bacon so it is evenly dispersed. Fold in the popcorn, making sure to evenly coat all the corn. Scrape the popcorn into the prepared pan and, using buttered hands or a piece of parchment paper, pack the corn evenly into the pan. Cool and cut into squares with a serrated knife. Enjoy the same day or store, tightly covered, in the fridge for up to 5 days. Thanks for spending a bit of time with me today. Have a lovely day. 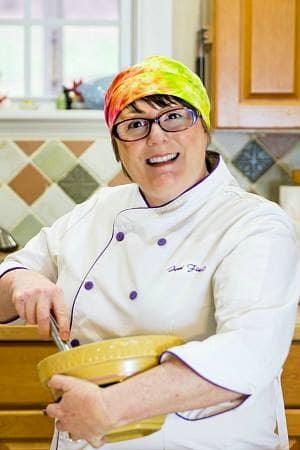 You are positively diabolical, Jenni. 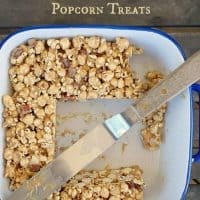 So if I wanted these loose like Cracker Jack instead of cut into squares, do you think any changes would be needed, or simply spread the final mixture out onto parchment sheets? Where o where is the maple syrup in the directions?? It’s in the ingredients!! Sorry about that. I’ve updated the instructions to reflect adding the maple syrup when melting the marshmallow and butter together.